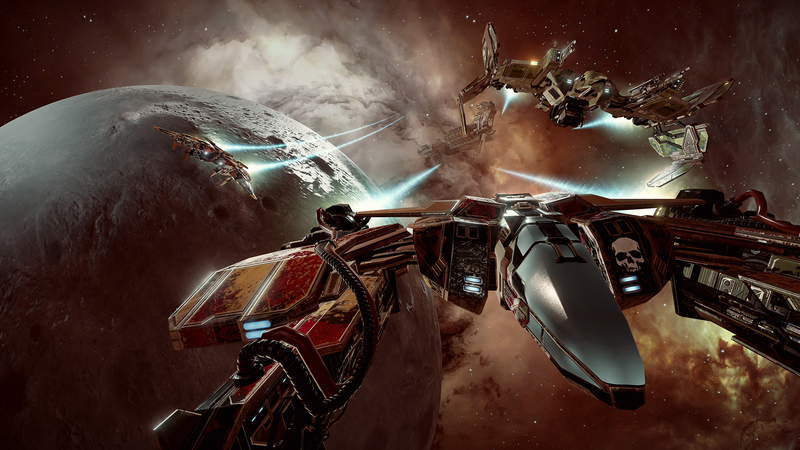 On Saturday 21st May 2016, Eve Valkyrie played host to the third round of the Battle of the Devs. During this event some of the games developers join the pilots in the regular map rotation, un-squadded, to either aid or destroy the other players. At 6pm UTC they then swapped over to the US servers. We followed them over for one game to see if the server filled and sure enough, it was; so we thought it would be best to leave the US guys to play with the devs instead. I hopped on again with a friend at 9PM UTC and it appeared that there were three games going simultaneously filled with players and devs. We got on the last server where there were two devs left against almost full teams of bots, so we played another 4-5 games, however I didn’t stream or record these fights. I think XCP_Sine and CCP Starbug were the ones that killed me the most, CCP Roo and CCP Jbot were the ones I killed the most and CCP Redcape and CCP Roo were the ones I repaired/saved the most! All in all, it was a great laugh, was good to see so many players joining in too. Hopefully there will be another one soon!